Ko Hineroa he wahine pakari, he pou mō ngā mahi, hautū whakaruruhau mō ngā nēhi Māori. He wahine kaha a Hineroa ki te manaaki tētehi atu, aha koa ko wai te tangata, nō hea te tangata. He wahine tūturu hoki ia ki tōna reo rangatira, me ngā tikanga a o tātou Tupuna. He māmā, he kuia anō hoki a Hineroa. I first met Hineroa when she was completing her bachelor's degree in nursing at Waiariki Institute of Technology in Rotorua in the late 1990s. Hineroa has been a staunch advocate for Māori nursing in Aotearoa. Upon completing her nursing degree in Rotorua in 1998 Hineroa registered with Otago University for the postgraduate certificate in mental health while working as a new graduate nurse with Tuhoe Hauora in Rūatoki. She then went on to teach the level 4 certificate programme in mental health in Rotorua while also completing a post-graduate diploma in Māori mental health nursing at Wintec. In 2009 Hineroa completed her Master's degree at Victoria University. Hineroa’s professional contributions and leadership in the fields of mental health nursing, health education and Māori health leadership are exemplary. 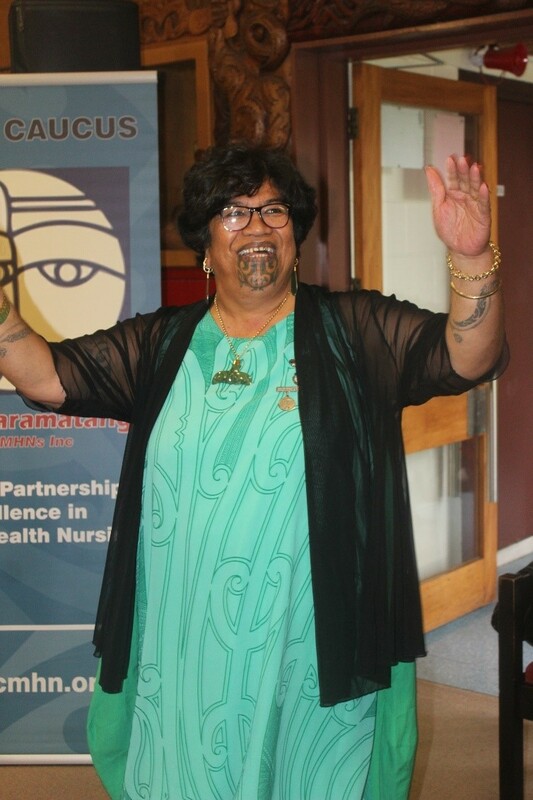 Hineroa was president of Te Kaunihera o Ngā Neehi Māori ō Aotearoa (National Council of Māori Nurses) from 2007 to 2009 and is a lifetime member. As president representing Aotearoa Hineroa met with nurses from all around the Pacific Basin and attended Pacific Forum hui. While president setting high standards for new nurses Hineroa leads, the National Māori Student Nurses Hui held each year in Aotearoa. In 2003 Hineroa became a Fellow to the Australia New Zealand College of Mental Health Nurses for her contribution to the profession. In 2004 she was appointed the role of kaiwhakahaere for the newly formed Te Ao Māramatanga New Zealand College of Mental Health Nurses, which she held till 2012. During that time Hineroa was made a Fellow of Te Ao Māramatanga. In 2004 Hineroa was appointed to the role of senior Māori Cultural Advisor with the Mental Health Commination based in Wellington. Key accomplishments included Whānau Ora Resource Booklet, 2005, Te Haererenga mō te Whakaoranga – The Journey of Recovery for the Mental Health Sector, 2007 and Te Hononga – Connecting for the Greater Wellbeing. Around 2008 Hineroa then moved to work for Te Rau Matatini, the national Māori health workforce centre in Wellington as a senior project manager. In 2010 -20111 Hineroa was appointed the Inaugural Head of School to the Bachelor of Maori Nursing programme at Te Wānanga o Awanuiārangi in Manukau, Auckland. She has represented Māori on many administrations, district health boards and nursing workforce boards, and the Huarahi Whakatū Māori nurses professional recognition programme advisory board. Other key positions included the Mental Health services manager at Te Rūnanga o Kirikiriroa in Hamilton in 2013, and three years at Murihiku in the South Island as their Māori Nurse Team manager with the Southern DHB while living with her daughter, and mokopuna in Invercargill. Hineroa is now the Nurse Lead (Māori) at Counties Manukau District Health Board in Auckland. Nō reira, ko te hiahia nāianei a Hineroa kia piki ia ki tōna taumata hei Tākuta i roto Hauora Māori.